Back in the day, when I first started with VOIP, I really wanted to go with some form of asterisk like Trixbox or Elastix but after months and months of trying, I just couldn’t get it stable enough for companies to be able to rely on. 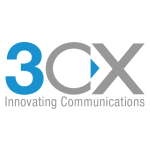 Then a buddy of mine suggested that I look at a system called 3CX. At that time they were just on version 10 and it only ran on Windows but I tried it out anyway and it seemed pretty stable so we went ahead and bought a license for it (I believe it was $1,200 at that time). Fast forward to today, about a month ago I had to rebuild a phone server for a non-profit in Bakersfield. Beforehand, I did a bit of research and found that 3CX was not only now on version 15, but they now supported Linux as a platform! Moreover, since this non-profit only had a handful of employees, I could get them on the free tier! Some of the more advanced features aren’t included in the free tier such as the fax server and it limits the number of simultaneous calls to eight but for this particular project, it was perfect! Within an afternoon, I had wiped one of their old servers, installed Debian 9.0 on it, installed 3cx on it and was provisioning phones. I built it on a Friday but waited until the weekend to change over their SIP trunk provider (Nexvortex) just in case something went wrong. That following Monday morning, I made sure to wake up extra early and clung to my phone all day knowing that there had to be something that was overlooked or left un-configured. 8:00? Nothing. 12:00? Nothing. 3:00? Nothing. I finally sent the director a text and asked how the phones were today? She just said, “Good, no problems.” Trust me, that’s a miracle! It’s been up and running solid for a good month and a half except for one issue: if you’re running 3CX on a server with two NICs, be sure to only have one interface hooked to the network. For the past few years, I had been using RingCentral for most of clients just because it was pretty much friction free but I’m thinking that for now on, I’ll use 3CX on top of Debian.